Is there a better alternative to AGex? Is AGex really the best app in Font Tools category? Will AGex work good on macOS 10.13.4? 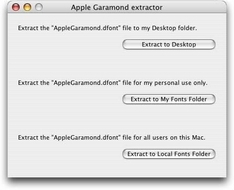 AGex lets you extract the Apple Garamond font to your Desktop folder. 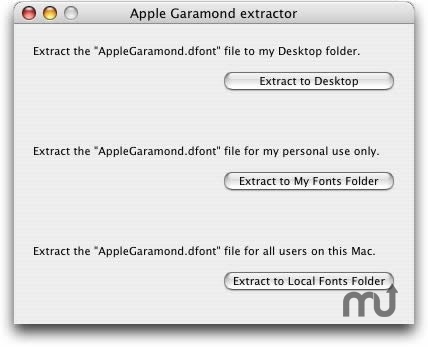 For instant use you can extract Apple Garamond directly to your personal Fonts folder or to the local Fonts folder for all users. Note: AGex will not work on Mac OS X 10.3 (Panther) because Apple Garamond will no longer be included in future versions of the Mac OS! Mac OS X 10.1.2 - 10.2.8.